SecureNinja, the top leading cyber security training provider, is conducting a new CTF in cooperation with CyberTalents. The Competition is accessible to security professionals from all over the world. 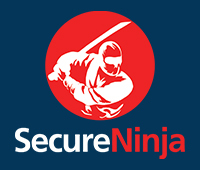 You won't just be testing your skills but you will also compete to win free courses from SecureNinja.The competition will run from 23rd of August ( 6PM UTC ) till 26th of August ( 11PM UTC). Sharing the flags between different players is prohibited. Sharing Write-up of the challenges are not allowed before the end of the CTF. Any attack against the site or the hosted servers will be observed and the player might be banned from participating in the CTF. Any trials for interrupting the CTF, or any unethical behavior, Organizers has the permission to disqualify players.